Locate the Hwy. (No. 55) connecting Lom (east) with Skjolden (west). This road is closed in winter. Driving from the west, you pass the Turtagrø hotel at approximately 890 meter of elevation. Continue around a left bend, then find a difficult to see, small road that exits right before the next sharp left curve. Descend down this dirt road and park off the road before the gate that restricts traffic on the remaining section of this road. This location is N61.50483, E007.82234, elevation about 935 meter. Continue along the road into Helgedalen valley and also uphill to about 1220 meter. The trail forks left (uphill) from the road, this point is well signposted. Cross a small creek, then stay left where the trail forks, again well signposted. The trail now climbs more steeply up the broad west ridge of Fanaråken. The trail is nicely made with steps in a few places, but also a bit rougher among rocks in some section. You will arrive at the summit plateau where there are (at least?) 4 huts. 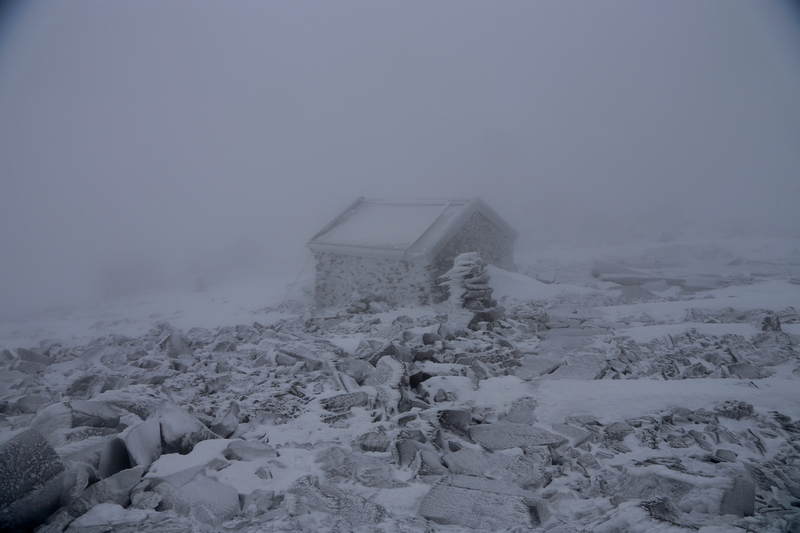 The summit point is located behind the larger, upper hut. After the ENUMATH conference at Voss, I took two participants along on a drive in order to see some Norwegian fjords as well as to do some hiking. My two companions were Steffen Müthing from Heidelberg and Rob Scheichl from Bath. We established our base camp at Utladalen Camping, a place that can be warmly recommended. 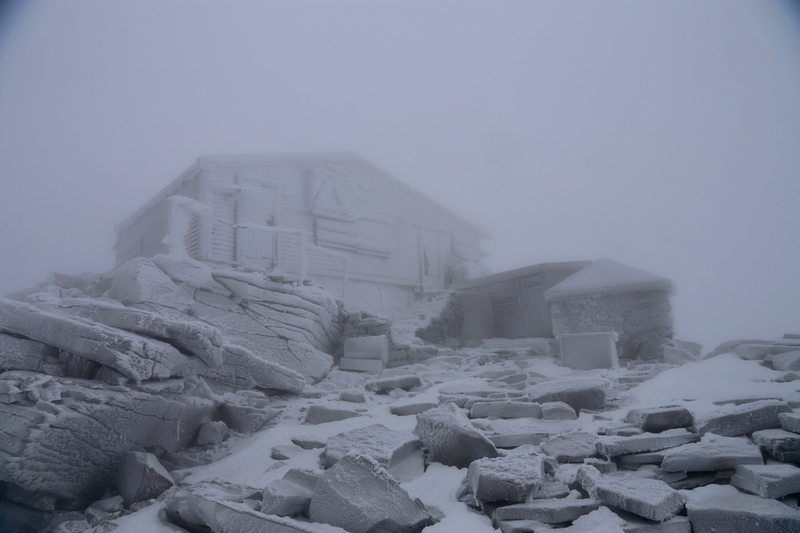 The forecast was pretty bad, I thought our Saturday hike would be quite a rough experience. Before dinner, we rented 3 bikes and rode to the Vetti farm. A short walk from there to see the famous Vettisfossen waterfall. We left at 0930 and experienced a strong headwind as we walked into the valley. As we ascended the wind was less of an issue and best of all, we had no wind. 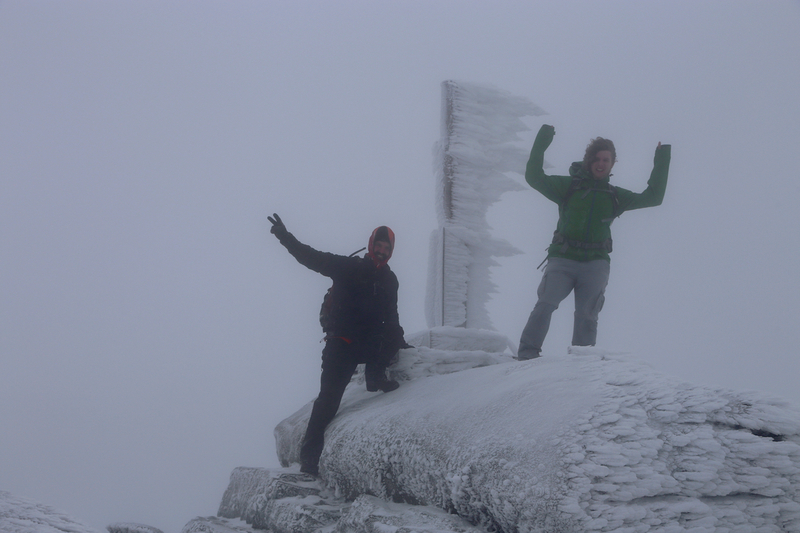 We ascended into the clouds and as we got near the summit, the wind increased again. The upper part of the route was coated with ice on the rocks making the hike quite slippery. We arrived on top at 1215 and walked around approximately 30 minutes. None of the huts were open and the weather was quite unpleasant. We descended at 1245 and by now the wind was stronger. Combined with the slippery rocks, this made for a somewhat cumbersome descent. We were all happy when reaching the level where the rocks again were free of ice. As we walked back out the valley, it started to rain. We reached our car at 1530, all feeling that we had our dose of fresh air for the day.